syn. Sango Kaku. Deciduous small tree with light green foliage turning brilliant yellow with apricot/orange tones in autumn. Young branches and twigs are a fiery coral red in winter. Suitable for small gardens and tubs. 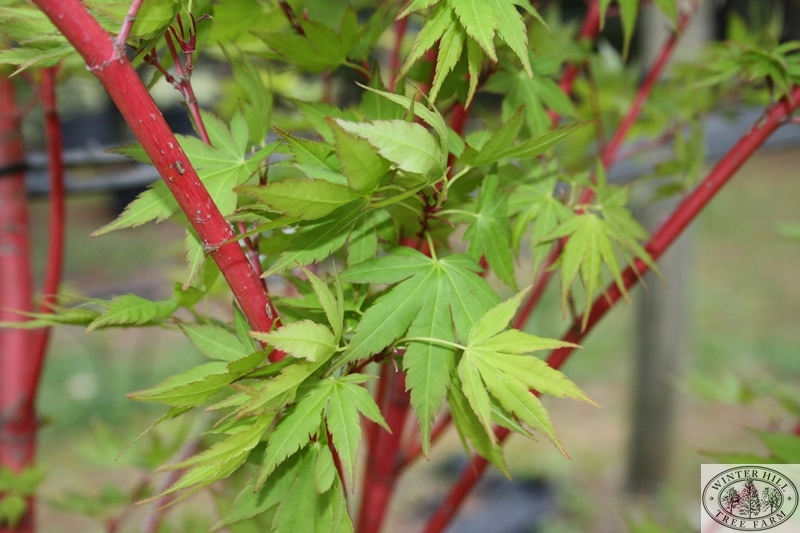 A prune back in spring is recommended to encourage new growth which will heighten the red show in the autumn and winter.